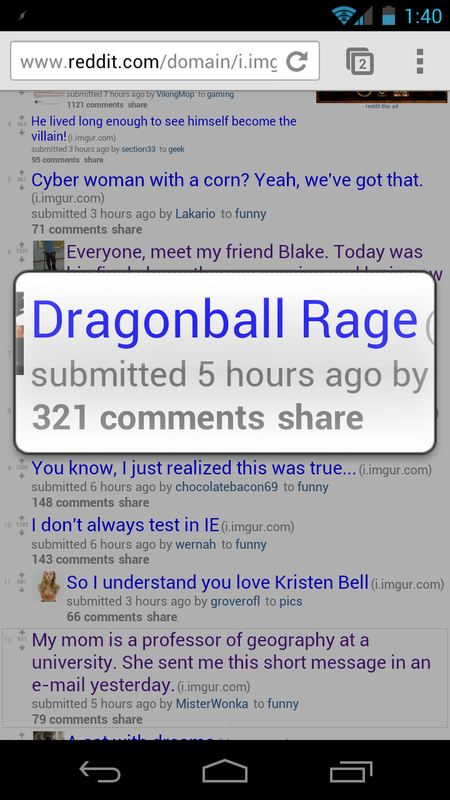 Before we take a closer look, though, I want you to keep in mind that it's wearing the beta tag, so it is a bit buggy. There are quirks, missing features, and simple oversights. What we're really looking at here is potential. I have no doubt that this will be the best browser for Android; in fact, I believe this will eventually render all other browsers obsolete. 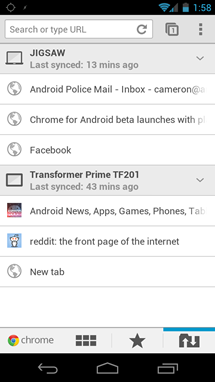 For the time being, Chrome for Android is available exclusively for ICS devices, but we're hoping that it will be backwards compatible once it goes final. If not, though, users should take comfort in the fact that many modern device will eventually updated to Android 4.0. With that out of the way, let's dig in. 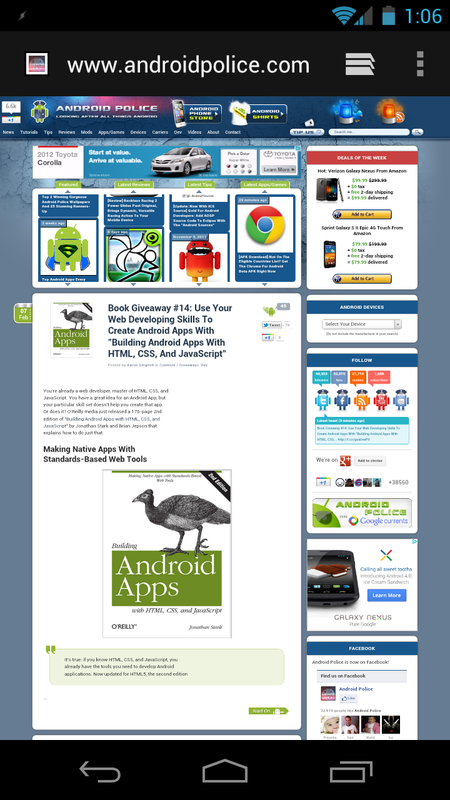 Like many other Google apps, Chrome for Android has both a phone and tablet interface. They are very similar in function, though the tablet version looks nearly identical to its desktop counterpart. For now, though, let's take a closer look at the phone version. 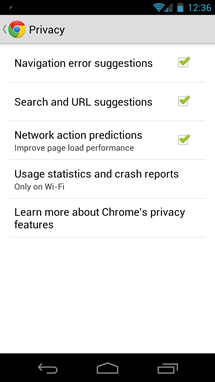 If you use Chrome on the desktop, then you should feel right at home as soon as you open Chrome on your mobile. 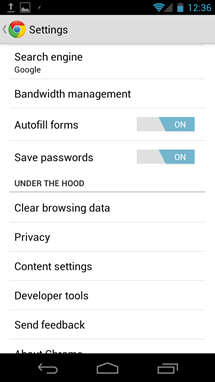 Many of the same familiar features have been brought to the mobile interface, including quick access to your most visited web pages, bookmark sync, and, my personal favorite feature (for now), access to open instances on other devices. 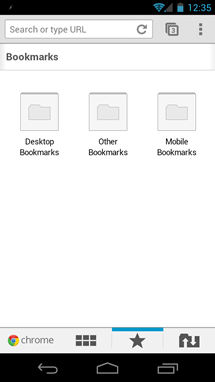 That's right - if you're on your desktop/laptop and want to get away from the desk for a while, you can access all of your open tabs directly on your mobile device. 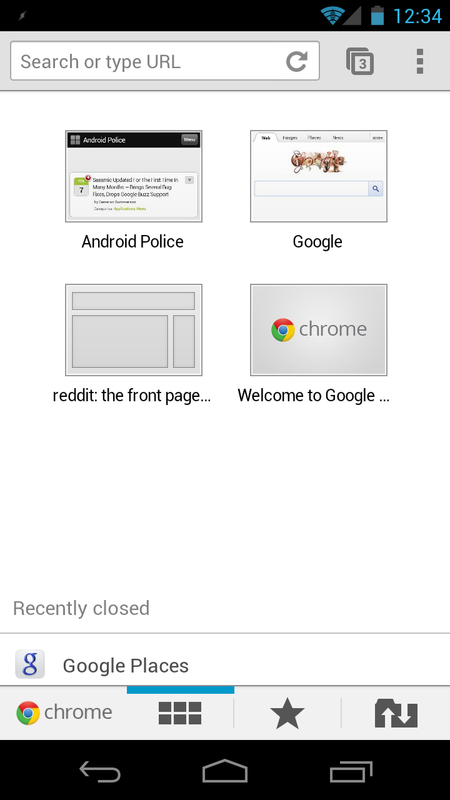 No need for Chrome to Phone or the like, simple open the new tab page and tap the rightmost icon at the bottom. I was able to read most of the content on the AP homepage without using pinch-to-zoom. 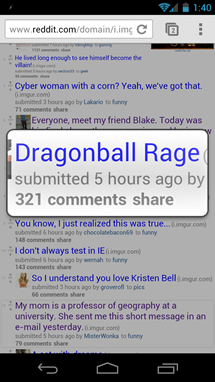 The same can't be said for the stock browser - the bulk of the text is completely illegible. 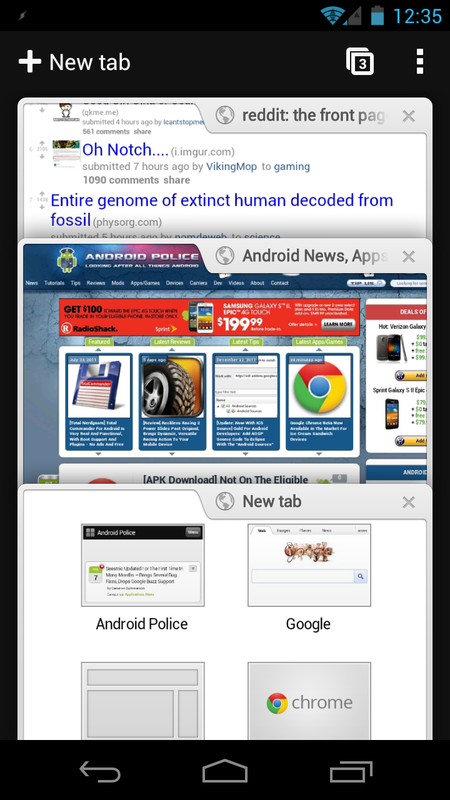 Like most other browsers for Android, Chrome offers tabbed browsing. The big difference here is that Chrome offers a much more intuitive way of navigating through these tabs: by swiping. 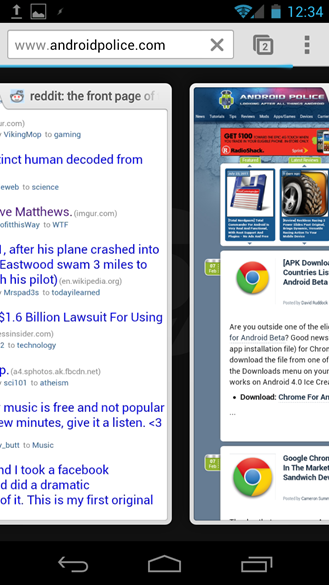 To quickly switch between tabs, just grab the far edge of the page and swipe left or right. While this is by far the easiest way to navigate through tabs on a mobile device, the feature doesn't always work exactly as it should. 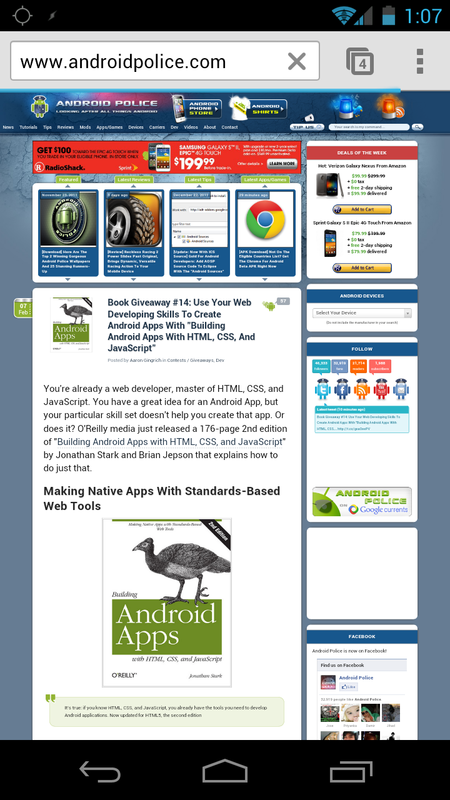 Occasionally, I would have to try several times before I was able to successfully switch tabs. However, my phone is in a case that covers up a small portion of the bezel, so it's possible that I just wasn't grabbing the correct area of the screen. If, for some reason, you're not the swipin' type, then there is also a nifty 'card' view for navigating through open tabs. 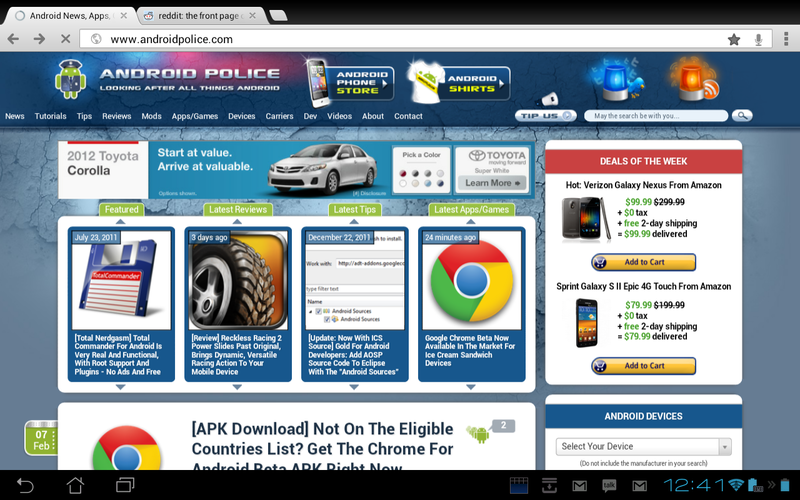 While in this view, you can tilt your device from front to back and the tabs will fall accordingly. While this may seem like more a eye-candy feature, it could be quite useful if you have several tabs open. 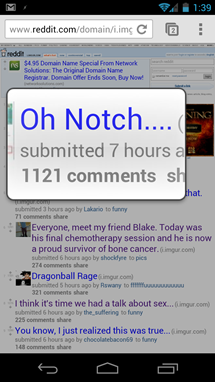 Another neat feature is the ability to zoom in specific text on the screen. However, this one appears to be a bit temperamental, as the only site I could get it to work with is Reddit. Update: As one reader so graciously pointed out, this is actually a zoom mode for areas that are heavy with links, which explains why it works so well on the link-haven that is Reddit. 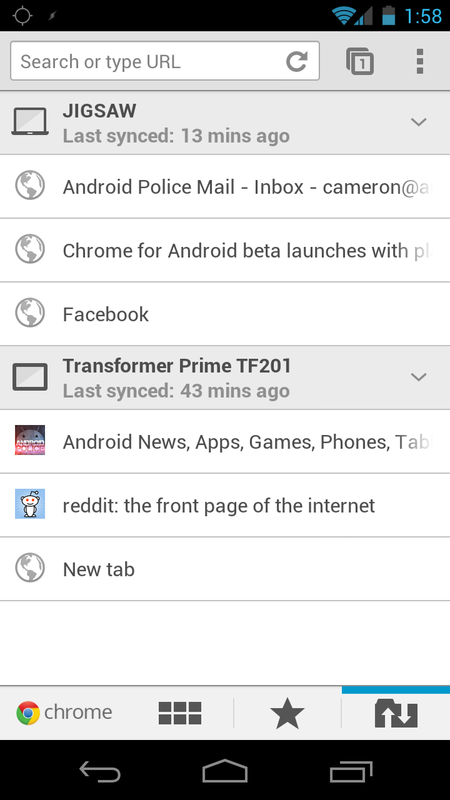 I just gave it a shot on the AP sidebar (where all the devices are listed) and it worked out perfectly. Brilliant! 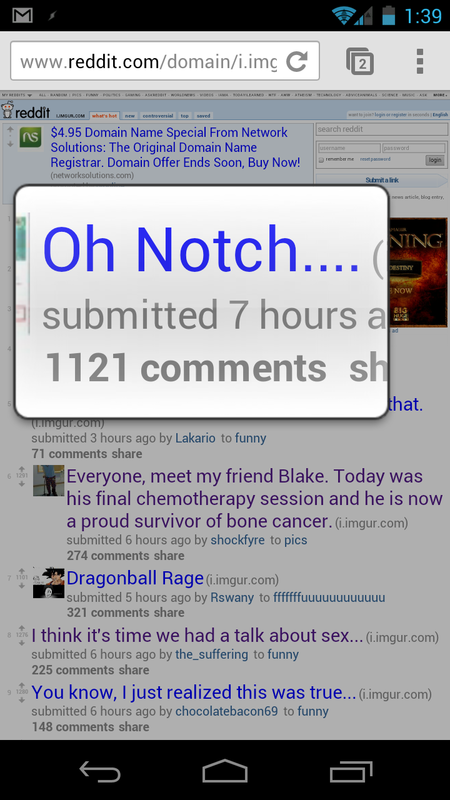 Perhaps the Chrome for Android team is full of Redditors? 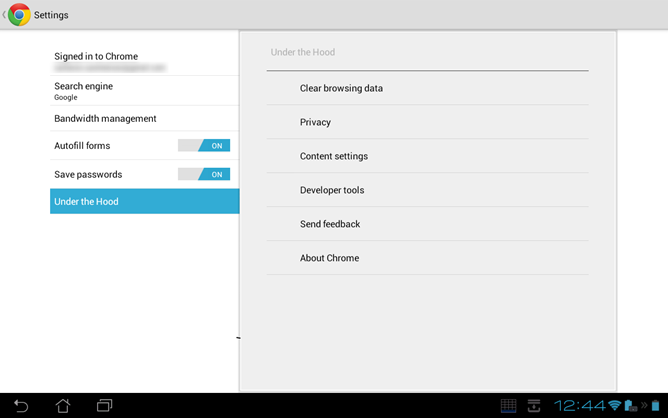 Under the hood, Chrome offers the norm for a browser, along with a couple of interesting additions. 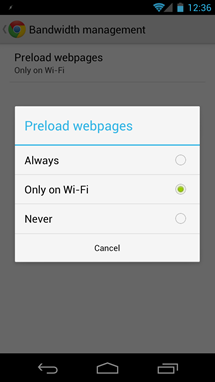 One said section is Bandwidth management, though there is only one option under this category for the time being: preload webpages. 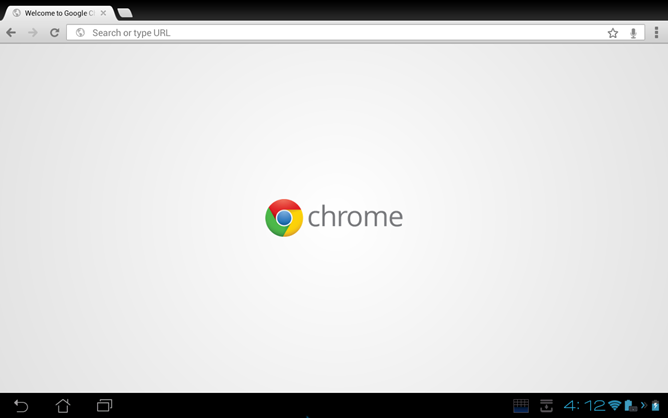 Like its desktop brethren, Chrome can pre-load pages for faster load up times. 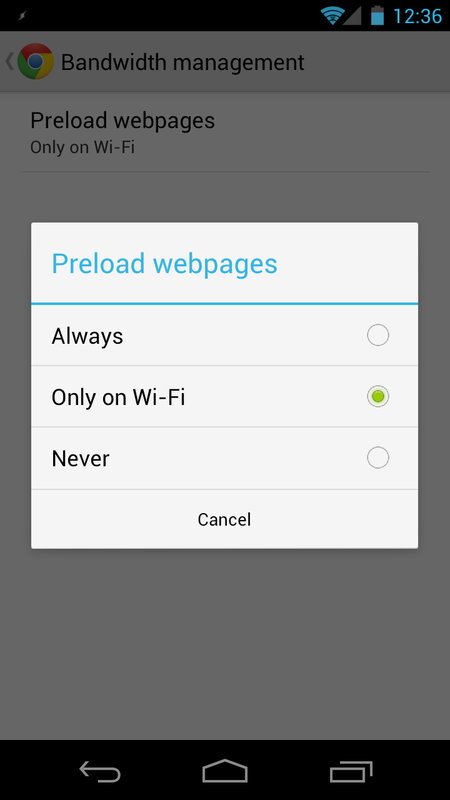 In order to conserve bandwidth while on a mobile network, this set to happen on Wi-Fi only by default. 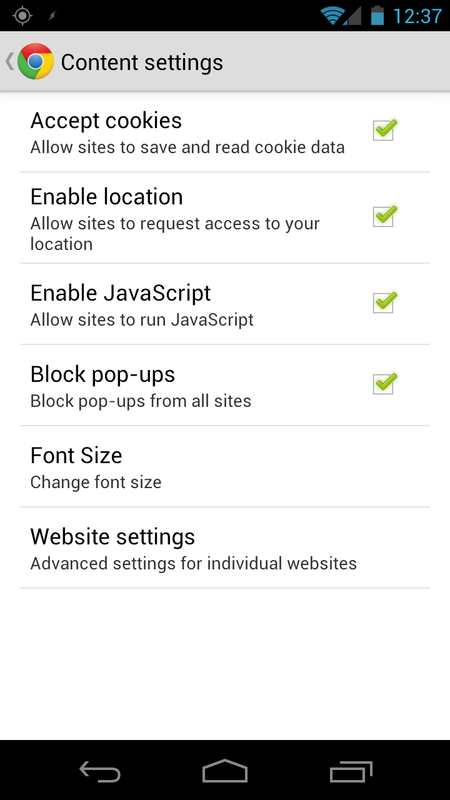 Devs can have a bit a fun with Chrome for Android as well, as it offers a small section of developer tools. 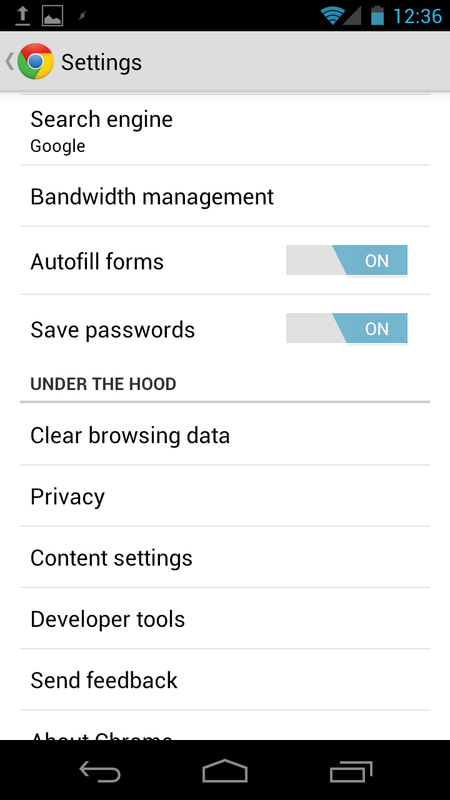 Like the Bandwidth management section, dev tools isn't packing a whole lot at the moment, but it is where you'll find the option to disable the tilt scrolling feature that I mentioned earlier. 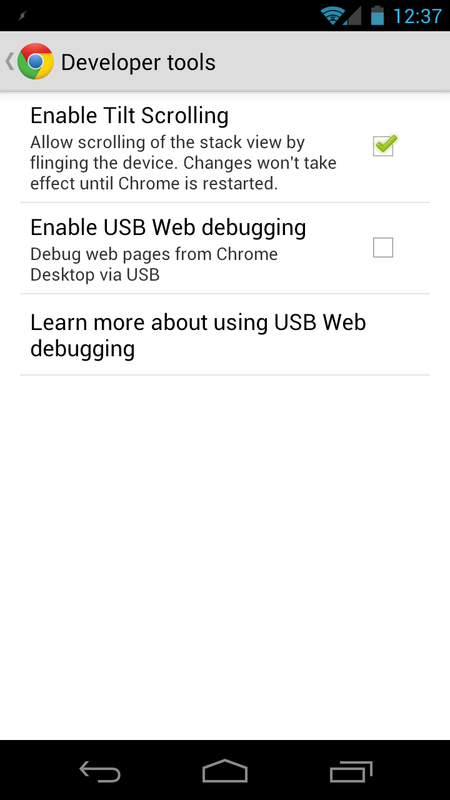 This section also allows devs to debug web pages via USB. Otherwise, you'll just find all the standard features in the settings menu: autofill options, password saving, privacy settings, etc. Since we've already covered the meat-and-potatoes of the app itself in the phone section, this part will be focused on appearance. As I mentioned earlier, Chrome for Android on ICS tablets looks nearly identical to the desktop version. It's actually quick nice to see that familiar interface on the screen of my tablet. All of the settings are the exact same as the phone version, but the menu is laid out in a much more tablet-friendly interface. Otherwise, it's basically just like the phone version. In this case, that's not a bad thing. 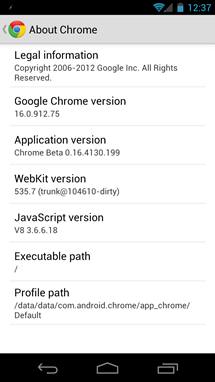 At the very beginning of this piece, I mentioned that Chrome for Android is in its beta stages, which inherently means that some things are missing. One of those missing features also happens to be one of the most annoying to many users: lack of UA string modification. 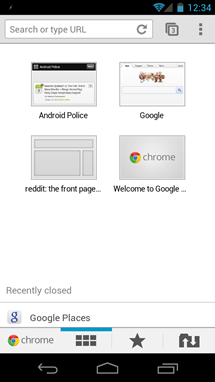 Yeah - yet another Google browser that is forever stuck in mobile mode. 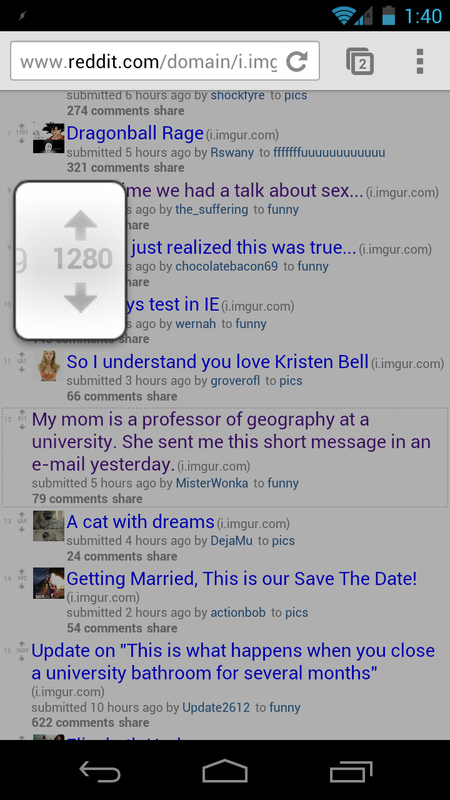 One the phone, this is tolerable. On the tablet, it's unacceptable. At the current time, I couldn't find any way to modify this, either. 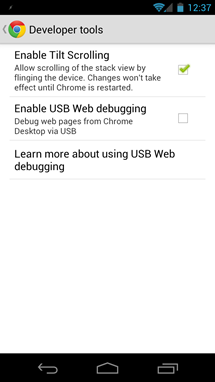 Chrome doesn't have an about:debug menu, Chrome://flags doesn't do anything, and after digging through every option in Chrome://chrome-urls/, I still couldn't find an easy way to mod the UA string. 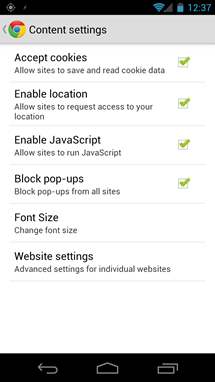 On the bright side, most websites have a way to manually request the desktop version, so you're only one tap away from viewing a full site. Still, the option should be available for users. So, if you can't live without flash content (I'm looking at you, Facebook gamers), then you'll probably want to keep a backup browser around just for that. 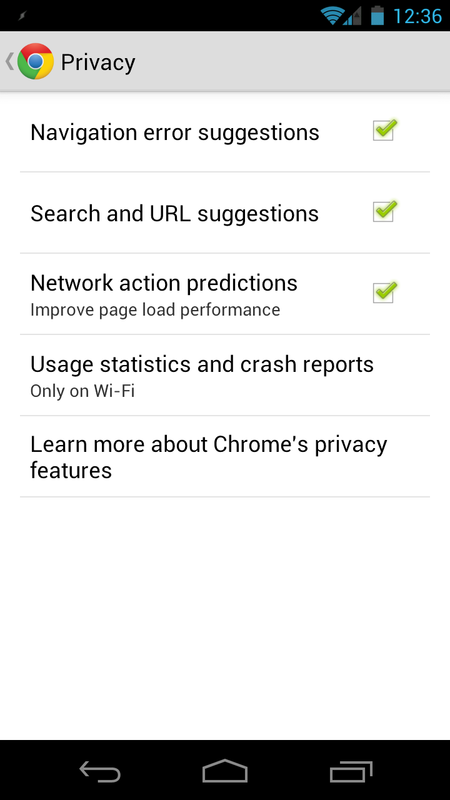 So, what do I think of Chrome for Android's initial iteration? I love it. It will likely just continue to get better from here, the gap between desktop and mobile will continue to close, and, hopefully, Google will allow us to have full desktop sites whenever we want. Even though it has already been made clear that Flash on Chrome is not going to happen (officially, anyway), I will continue to hold on to the possibility that it will make its way to Chrome in one form or another (or everyone under the sun rapidly converts to HTML5) so I don't have to navigate away from the page I'm browsing just to watch an embedded YouTube video. 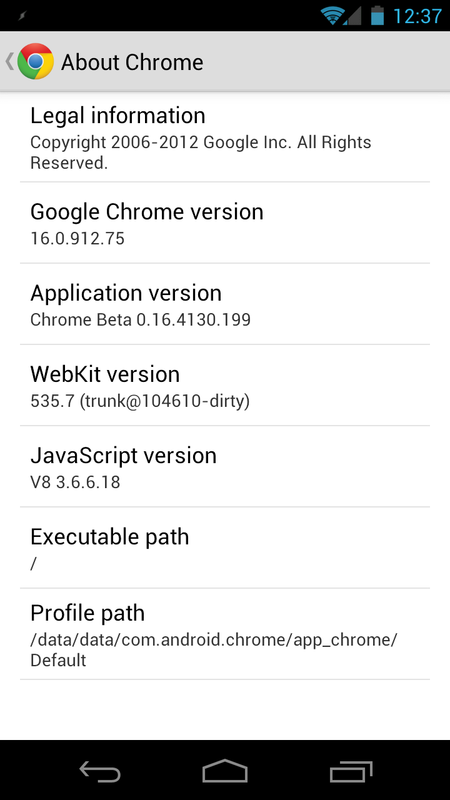 Otherwise, Chrome for Android is already a great browser, and I look forward to seeing what improvements show up in the future. 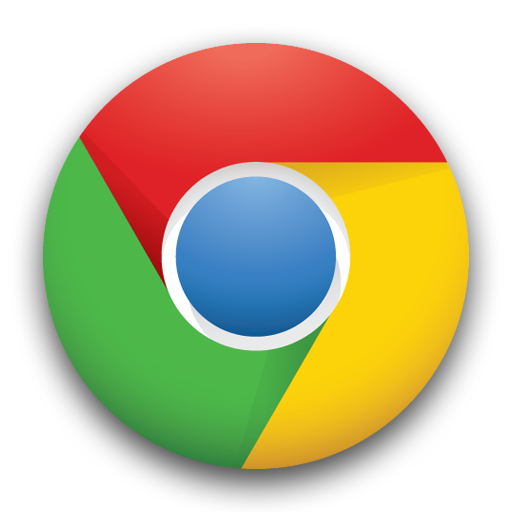 If you have any questions about Chrome, feel free to drop them in comments and I'll do my best to answer.